Traveling to a country is not only about witnessing the beautiful scenery, but it’s also about discovering its culture and history. Visiting museums is the fastest way to understand everything about this dynamic country. Vietnam is a small country but it contains a variety of beautiful natural landscapes ranging from mountains and deltas to turquoise oceans. Not only that, fifty four different ethnicities and three regions (the North, Central region, and South) create our cultural diversity. Moreover, Vietnam has a unique and lengthy story with over four thousand years of history. Therefore, a series of museums spread north to south is your best bet on how to educate yourself on what has happened here. 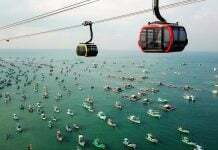 This article includes the best museums to visit in the big cities of Vietnam. I have visited most of them and even though I am from here, I still found them interesting. Let’s have a look at the list below. Vietnam’s history includes a lot of war and battle, including 1,000 years under the Chinese colonialists, 100 years under the French colonialists, and 20 years of civil war with support from America. 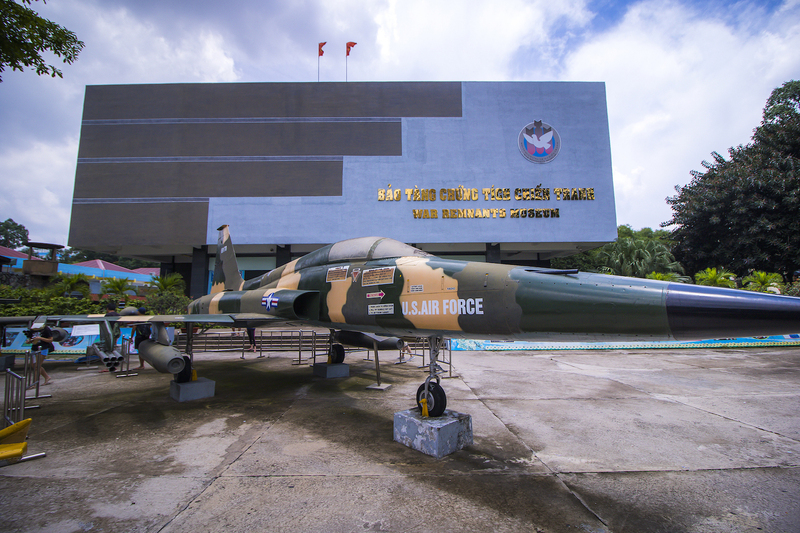 The War Remnants Museum contains exhibits relating to the Vietnam War, called the Resistance War Against America in Vietnam, and the first Indochina War involving the French colonialists. After visiting this museum, you will understand more about the vast devastation and heavy losses incurred. You will find a large collection of military equipment placed in the yard of the museum. One building next to the yard contains a reproduction of the “tiger cage” which models the mechanism used to keep political criminals on Phu Quoc island made by the Southern Vietnamese. The main building has two floors and displays exhibitions of graphic photography during the war, accompanied by a short text in English, Vietnamese, and Japanese. Know that these photos can make you feel depressed because they recall the abundance of horrible crime during the war. If you travel with your young children, think about avoiding these photos and even the whole museum. There is a playground room in the museum which is the best place for children if you choose to view the exhibits. 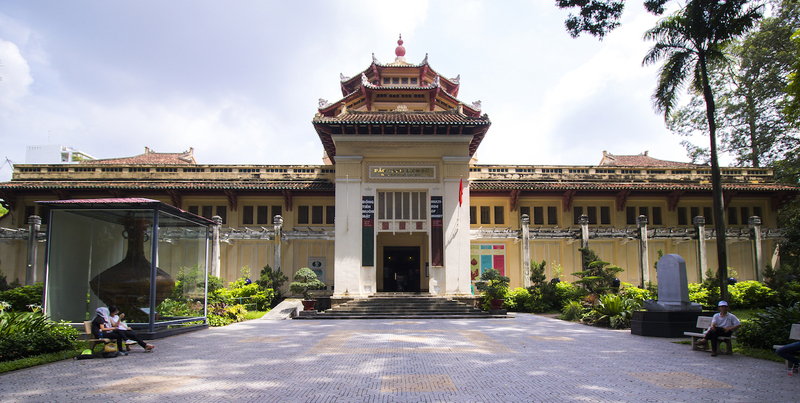 The Museum of Vietnamese History showcases Vietnam’s history with exhibits from all periods. The exhibition starts with Prehistoric Period that began 500,000 years ago. Next, it moves to artifacts from the three main cultures of Vietnam during the Metal Age, including Dong Son culture in the North, Sa Huynh culture in the Center, and Oc Eo culture in the South. 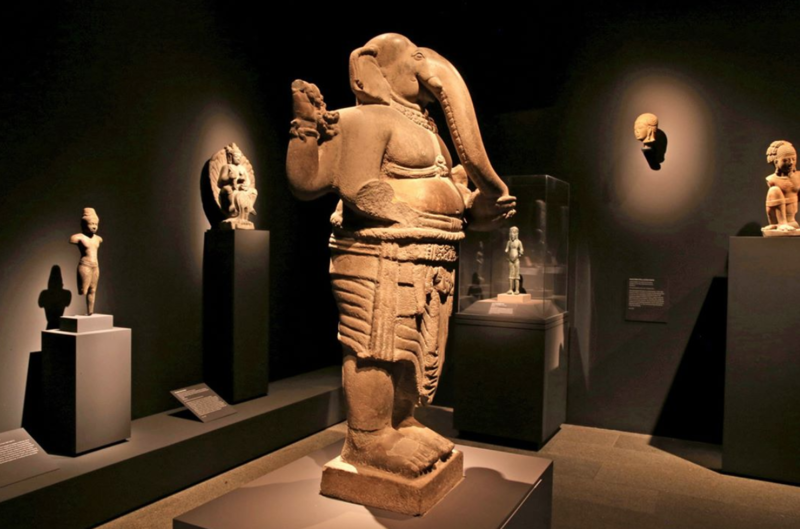 After that, the different dynasties and their culture, architecture, religion, and politics are exhibited. 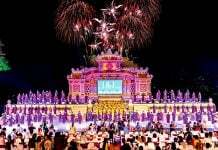 It ends with the last dynasty, the Nguyen dynasty, in 1945. During all these periods, Vietnam’s territory was a small area in the north, then it grew bigger and bigger to what it is today. There is a small golden dragon water puppet theater inside the museum. The puppet shows are from 8 AM to 11:30 AM and from 1:30 PM to 4:30 PM, so you can watch water puppet shows right there while visiting the museum. Moreover, the museum is located inside the Zoo and Botanical Gardens. Take a rest, walk around, and observe a few wild animals. It’s not a bad way to spend part of your day! 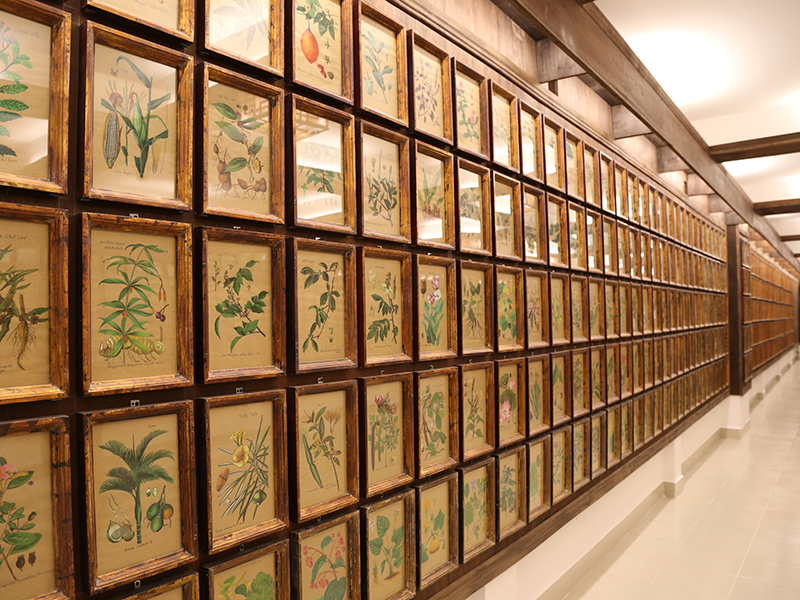 The Fito Museum is one of the first private museums in Vietnam which is devoted to traditional Vietnamese medicine. The museum is built mostly with wood in the traditional style, has six floors and 18 exhibition rooms. It has a short documentary film to distinguish traditional Vietnamese medicine from Chinese medicines, and it also elaborates on the physicians who built the foundation for our traditional practices. Nearly 3,000 items relevant to traditional Vietnamese medicine dating back to the Stone Age are exhibited. They include books, documents, traditional medicine, instruments used for preparation, and objects found in a traditional pharmacy. There is also a model of a Vietnamese traditional pharmacy where you can wear an ao dai, the traditional clothes of Vietnam, and take photos in the pharmacy. Finally, the receptionist will serve you a cup of tea, made from traditional Vietnamese medicine. Then you can exit through the souvenir shop, and possibly bring something back home. The Fine Arts Museum makes its home in a magnificent mansion that combines Asian and French architecture. 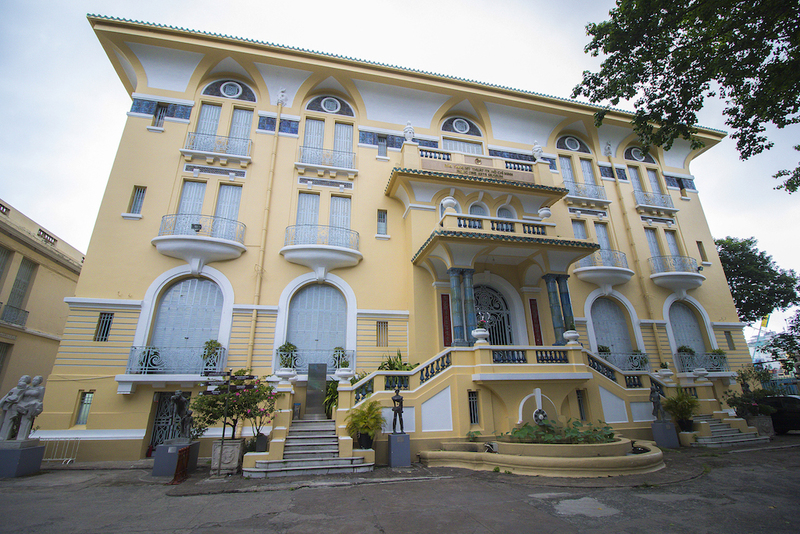 This building belonged to Hui Bon Hoa, the wealthiest Chinese businessman in Saigon during the colonial times. This museum is for those who are devoted to Vietnamese arts and culture. The mansion has three floors. The first floor is the place to display modern artworks after 1975, and the second floor displays artworks before 1975. The third floor is a completely different space with works of stone, wood, bronze, and pottery. In addition to the main building, the museum also has a smaller sub-building that displays a collection of oil paintings across the country. 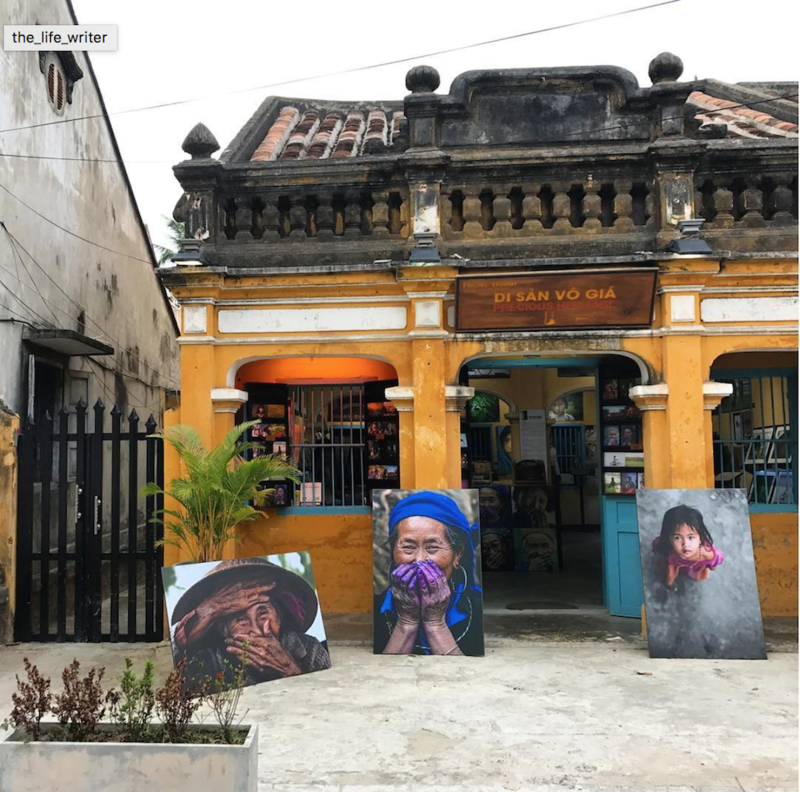 Precious Heritage by Réhahn is an art gallery museum in Hoi An. 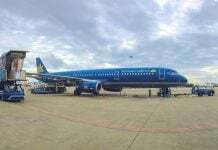 Its owner is Réhahn, a French photographer who has lived in Vietnam for seven years. He’s known as the photographer that “captures emotions and peoples’ souls”. He visited remote villages in mountainous areas to take photos of Vietnamese ethnic groups, as well as learn and understand their culture. The museum displays more than 30 traditional costumes, many artifacts, and 200 works of photography with stories written in three languages (French, English and Vietnamese). The museum reflects his collection that has been building for seven years. Réhahn wants to showcase the ethnic groups whose traditions and heritage are dwindling. If Réhahn is at the museum when you visit, he is open to talk and share his story with you. Réhahn also opened another art gallery museum in Ho Chi Minh city. You can visit it if Hoi An is not one of your travel destinations in Vietnam. Situated five kilometers away from Hoi An city, Thanh Ha Terracotta Park is located next to Thu Bon river and inside you will find the 500-year old Thanh Ha pottery village. 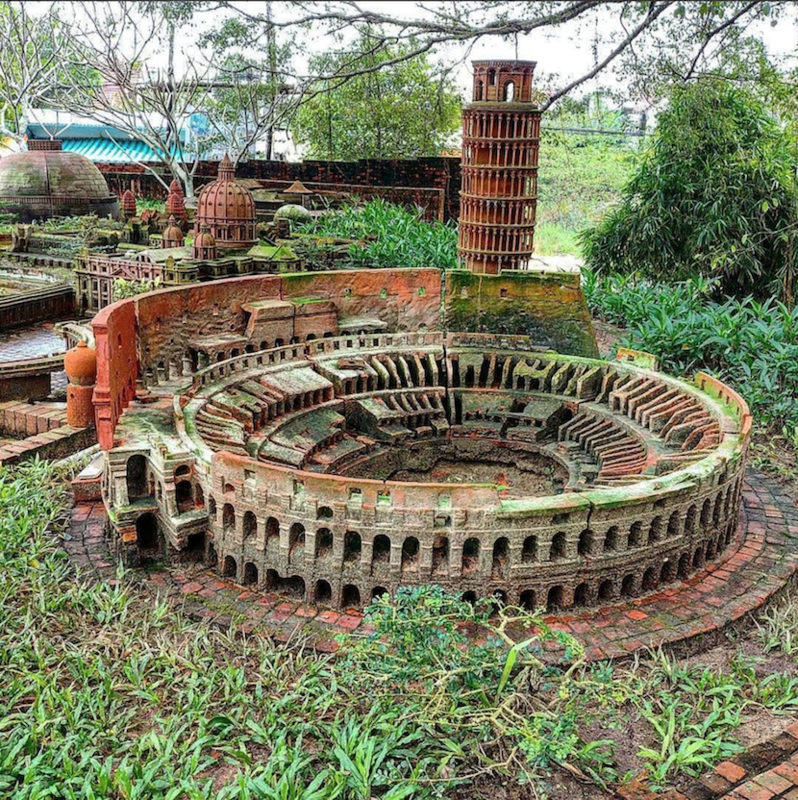 The pottery park is designed by architect Nguyen Van Nguyen, and consists of two main buildings representing two types of pottery kilns of Thanh Ha village. It is considered the largest pottery park and the most unique pottery museum in Vietnam. In the garden of the park, you will find miniature pieces of famous buildings in the world such as the Taj Mahal, Sydney Opera House, Liberty Enlightening the World, and more. Inside the buildings of the village, more information is displayed about the process of making pottery through models of a ceramic kiln. Pottery products, photos, and stories about old pottery makers, Sa Huynh and Cham pottery, are exhibited there too. The coolest thing is that you can make pottery yourself in another area of the campus. After you visit the terracotta park, walk around and you can find many families nearby with their own pottery shops. 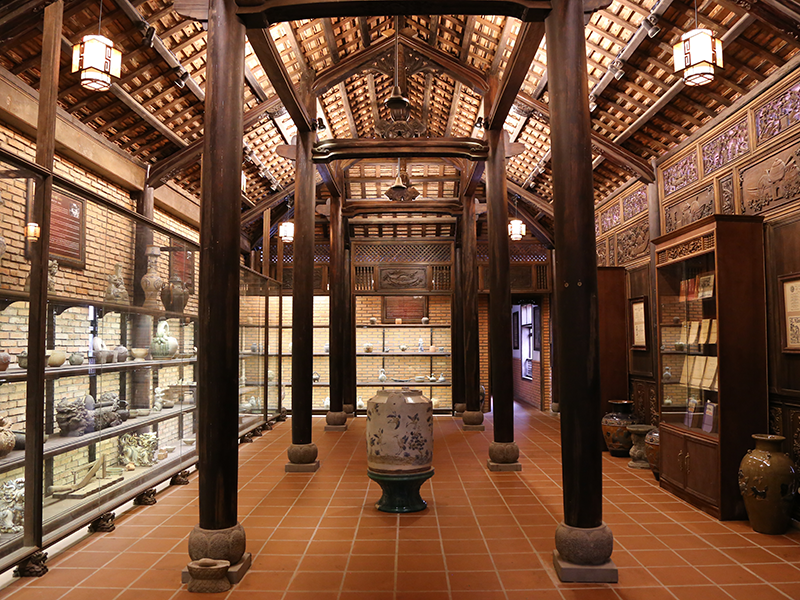 The Museum of Cham Sculpture is the largest museum displaying Cham artifacts in Vietnam. Built by the French, this museum displays collections of sculptural artifacts of the Cham Kingdom found in Cham towers and ramparts in the South Central coastal provinces and the Central Highland provinces. In the past, the center of Vietnam belonged to the Cham Kingdom. In 1832, the kingdom was defeated and the area merged with Vietnam. 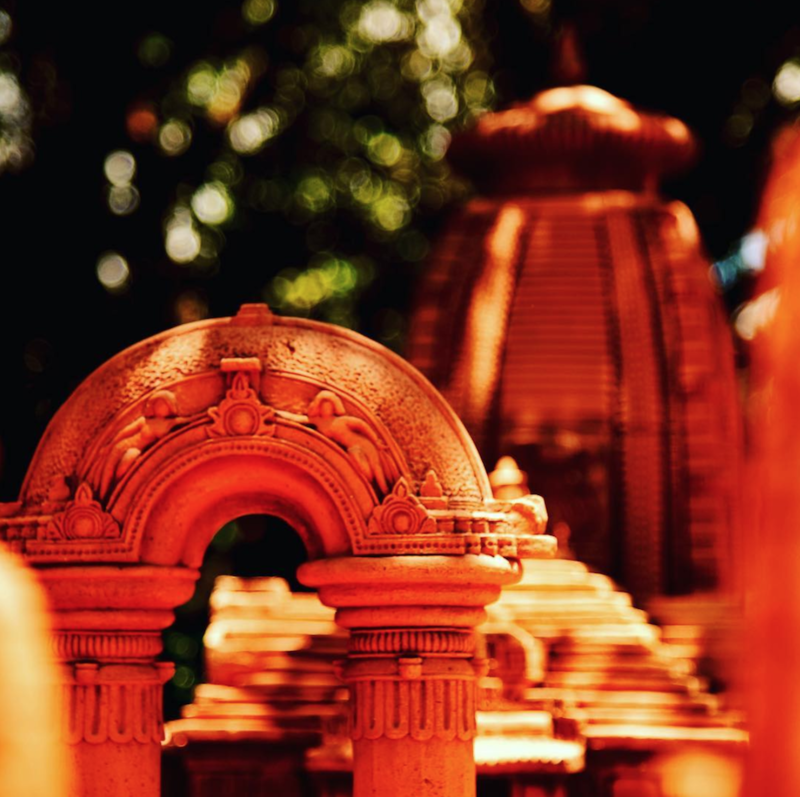 This museum is a great place to find out about the vanishing culture through spending a few hours observing the intricate carvings and religious artifacts. The Vietnam Museum of Ethnology consists of three main exhibitions. First, the exhibition hall in Trong Dong building introduces 54 ethnic groups in Vietnam. 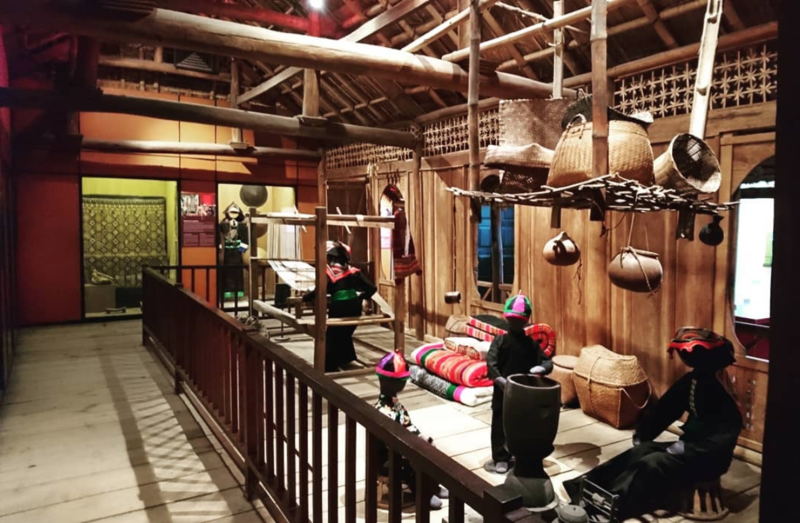 The exhibits of this museum are the most diverse and abundant, it’s truly a cut above the rest of the museums of ethnology in Vietnam. Second, the Southeast Asia exhibition displays every culture inhabiting countries in Southeast Asia and also other countries in the world. Third and final, the outdoor exhibition is a garden of trees, including ten different traditional houses from ten ethnic groups in Vietnam. The outdoor exhibition is the feature of this museum. The traditional houses look like real houses, outside to inside, from our history. Every piece of furniture and architecture is accompanied by a short text, allowing you to feel like a real ethnic person staying in this house. The museum is quite big and takes a half day or more to visit. Eat before visiting this one!